Situated in the heart of vibrant Columbia City adjacent to the LINK light rail station. 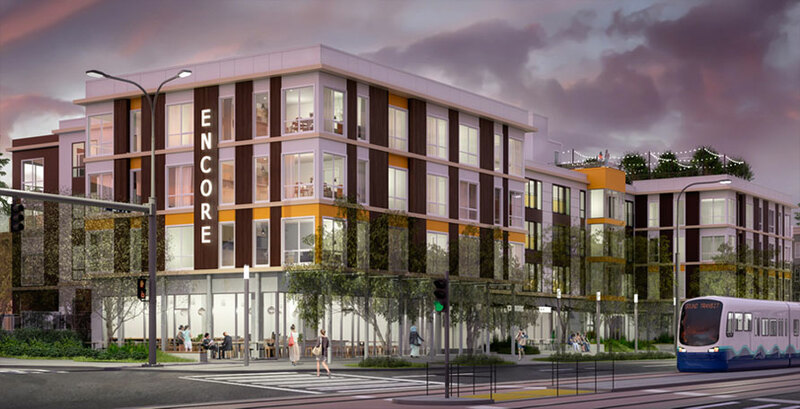 ENCORE is now offering presales at introductory prices from below $300,000 to more than $700,000. Groundbreaking is scheduled for early 2019 with occupancy in late 2020. Live just 15 minutes from downtown Seattle and a short stroll to Columbia City attractions and open spaces. Welcome Home - modern luxurious finishes, innovative floor plans, & views of Mount Rainier. Introductory pricing from below $300K to more than $700K. Discover the endless amenities at ENCORE – a rooftop terrace, co-work studio, community lounge, fitness center, and so much more. BDR Urban – a wholly owned subsidiary of BDR Holdings specializing in innovative housing throughout Seattle.